On May 20th, Route 112 will have 3 loops added to its normal schedule. 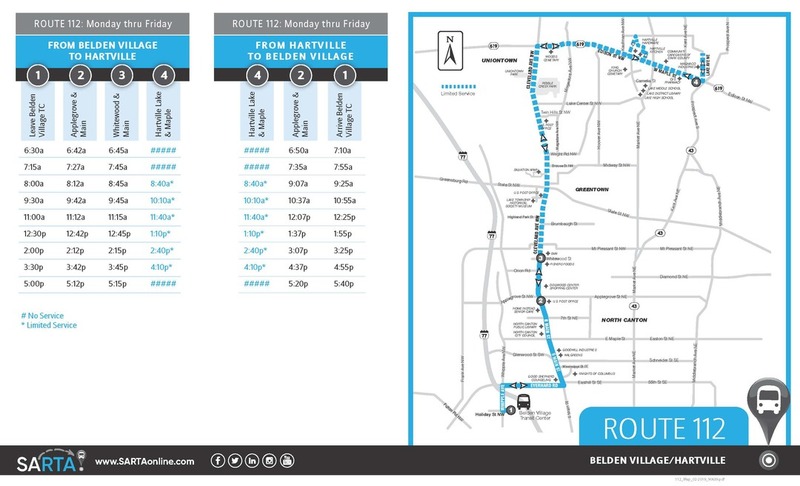 Beginning at 6:30 AM, the 112 will make a 45-minute loop up to the Whitewood Village and then turn around and begin inbound back to the Belden Village Transit Center. It will then do the same loop again at 7:15 AM. The final loop of the day will begin at 5:00 PM and it will make one additional 45-minute loop to Whitewood Village and then turn around and begin inbound back to the Belden Village Transit Center.